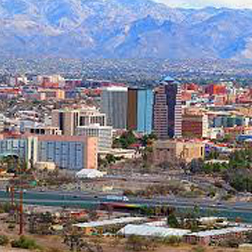 Engage with Tucson’s vibrant and growing global mecca. Learn a new language with native-speaking tutors right inside Tucson itself, and expand your opportunities both abroad and within the Optic Valley. Find your language level with a free online placement test. Ready to start your journey? Send us a quick inquiry to find out more about our personalized course packages designed suit your schedule and to help you learn a new language, your way! Our general one-on-one courses in Tucson will help students improve their Spanish level quickly and efficiently, whatever their needs. One of the most exciting aspects of our courses is that they are developed entirely around the needs of the students. The fact that we offer our Spanish classes on a One-on-One basis means that you can learn the words and phrases you need in a comfortable and relaxed environment. Our Spanish courses in Tucson are taught on a one-on-one basis and will help you improve your business communication skills immensely. No matter what level you begin at we will soon have you dealing with business introductions comfortably before moving onto other matters. Beginner level students can expect to finish the course with basic telephone Spanish and email skills, as well as a level of survival Spanish, granting them the ability to work in a country where Spanish is the native tongue. Antonella is a German and Italian teacher who has an extensive teaching and academic background. She is currently a PhD candidate in Transcultural German and Middle Eastern Studies at the University of Arizona, and additionally holds several certificates for teaching foreign languages. She has also taught English, Arabic, and French. A native Farsi speaker born and raised in Iran, Seyede has ample experience in the teaching and translation fields. She is in the process of obtaining her PhD in Near Eastern Studies. She has taught Farsi and Arabic to students in both Iran and the United States.